Little Bluebell: Baby Safari, Finished! Let's see, I started cutting fabric last Saturday at the guild meeting, finished up on Tuesday, made the fussy cut blocks on Wednesday, pieced it Thursday and Friday (with my littlest helper) and finished it up today. I could not do this every week. It was like I was playing Monopoly. Do not stop. Do not pass go. Do not do laundry. Do not do dishes. Wasn't that how it went? If I could add one more song to this near perfect list, I would include this version of Baby Mine by Allison Krauss, a family favorite. You are a quilting darling my love. The new Mommy and Daddy will be overjoyed. I owe you more than $660 or a bottle of red. You are just wonderful, you know??!! It's so adorable. 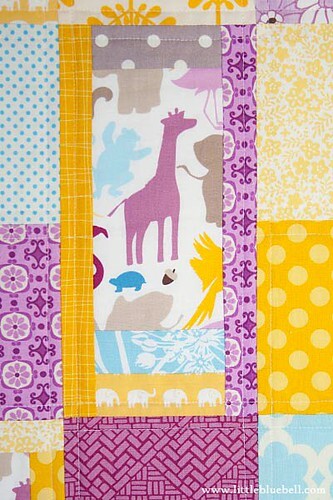 The tall giraffe block is my favourite and I love the little rows of elephants. That's a very lucky baby. 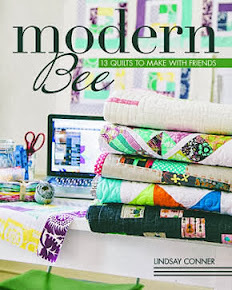 I totally know how you must have felt doing this quilt without a break! That was the way it felt while working in 2 twins that I finished recently or AKA "the twins" as I was calling them. Yeah. Double trouble! The backing you chose is one of my fave from that line! 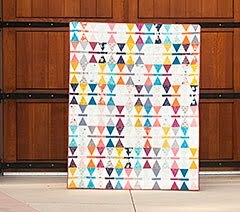 My Grandpa used to sing Over the Rainbow and so it is very close to my heart;) that is really awesome that you came up with a "soundtrack" for a quilt---how cool is that! So pretty! I love the extra tall giraffe block. 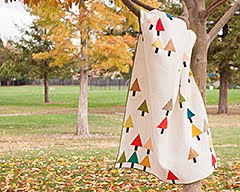 adorable quilt! 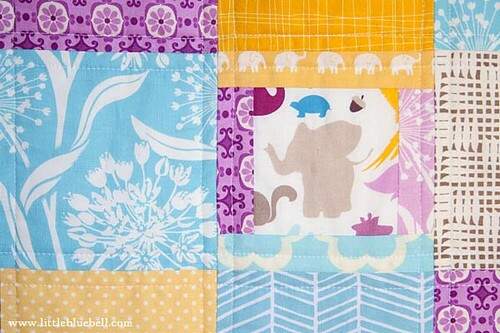 I love the different sized patchwork, and the way you framed some of the animals. Super cute! Love the happy colors and sweet animals. this is so adorable, and the colors are perfect. i love the tall giraffe block. Awesome combo of colors--I'm really loving the soft yellows and purples. It's not so expected for a baby, because of all the modern fabrics! It is sooooooooooooo pretty!! I love how you made those sweet lil log cabins! Gorgeous colors too! This is gorgeous Adrianne! 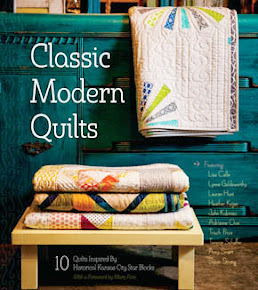 I think a quilt is the perfect new baby present. 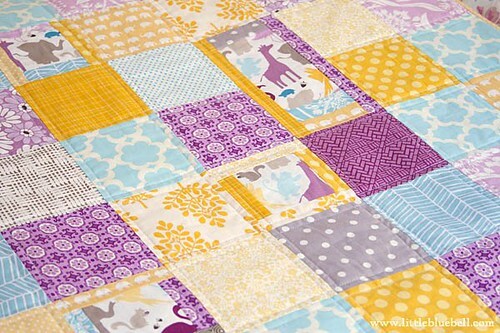 I really love the giraffe block - clever! Oh my goodness, my comment actually worked this time! Woot! 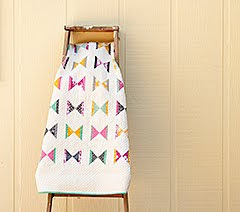 This quilt is adorable! The colors and the patterns blend together perfectly. Absolutely love it! Perfect for any little baby. 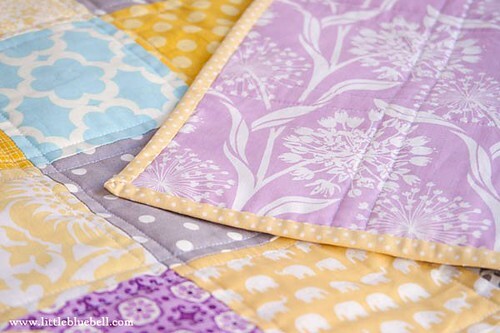 Love this quilt, especially how you framed the animal print. Cute CUTE! I'm the soon-to-be dad that received the quilt. I just wanted to say thank you! We love it. 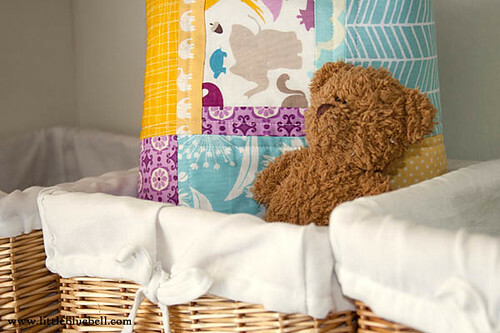 The animals are super cute and go perfectly with our nursery theme, the colors are great, and the design is awesome. I'm sure this was a lot of work; we really appreciate it. As your mom said, we'll have pictures for you sometime soon. Thanks! 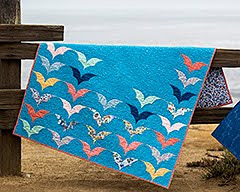 I love your fabric selections in this quilt - how beautiful! What a lucky baby! The tall giraffe block is so fun as well. 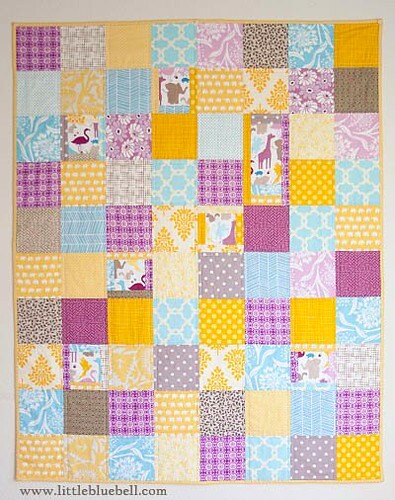 I made my daughter a baby quilt using this Central Park print and we love it. I've got to start instituting Dadurdays!